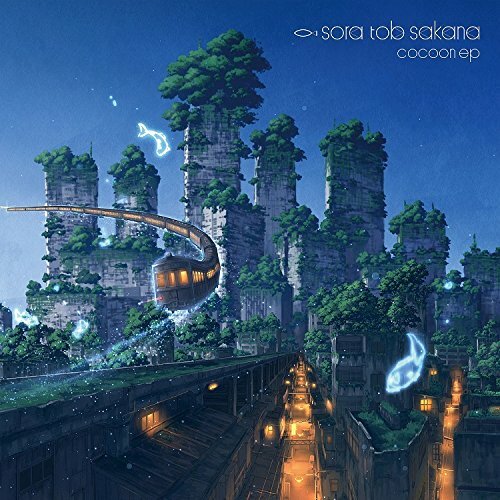 From their new “cocoon ep”, sora tob sakana continue their juxtaposition of sweet voices and mathematically precise music. When “ribbon” starts, you might be tricked into thinking you’re listening to a saccharine idol group; but then the drums start with its pinpoint rhythmic hyperactivity. And, this is why I love sora tob sakana: their musical offerings are never lazy or haphazard. Enough of my drooling. “Ribbon” is an animation PV that follows the hare’s musings that eventually lead skyward. It’s a galaxy railroad, a wormhole, and an infinite ribbon that leads you wondering which dreams are we watching: the tortoise or the hare? You can buy sora tob sakana’s “cocoon ep” on April 11, 2017. Buy ｓｏｒａ　ｔｏｂ　ｓａｋａｎａ’s “cocoon ep“!